Hey y'all! I haven't posted in a couple weeks because I was busy traveling and I was getting ready to start nursing school tomorrow. Last month when I was in Colorado, I was browsing through a boutique at a ski resort and came across these wonderful products. Not planning on buying anything, I tried the Primal Elements hand lotion and fell in love so I also bought the scrub. 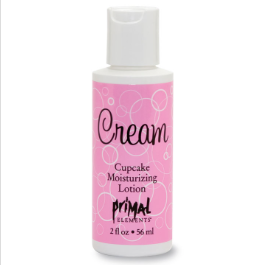 Primal Elements is a company that sells hand made, high quality bath and skin care products. All products are not tested on animals and are environmental safe. 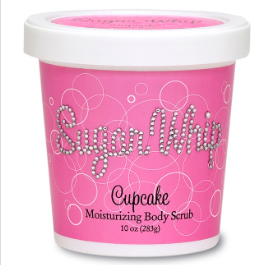 The scrub is called Sugar Whip which I think is perfect because it consits of pure cane sugar with moisturizing ingredients. When you first apply the scrub you can feel that it's really exfoliating and then when you mix it with water it turns into a more creamy texture. Not to mention it is cupcake scented and it smells amazing. I think I love the packaging probably the most. It's pink with rhinestones so it's perfect for a gift that you wouldn't have to wrap! Not only do I love the scrub, but I love this lotion even more. This product was what really sold me. The lotion has the perfect consistency because it's not too greasy and not drying. When the lotion completely dried, my hands felt the smoothest I have ever felt it. Many creams I have tried don't seem to penetrate through the skin deep enough like this one does. Just like the scrub, it smells like fresh, yellow cake.